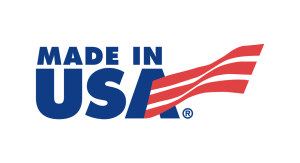 The “Made in the USA” Difference: Why Buy American? Are you in the market for a new industrial scale and not quite sure where to purchase one? If you know anything about the weighing industry, then you probably know that industrial scales can be purchased that are manufactured in Asia and Europe; however, Arlyn Scales manufactures all of our scales and the subassemblies necessary for the scales right here in the United States of America. Unfortunately, many of our competitors are known to purchase scales and subassemblies from countries outside of the U.S. before rebranding them and selling them as their own. Some of them even combine parts made from different manufacturers when assembling the final product, which we believe diminishes the overall quality and performance of the scale. Arlyn Scales is proud to say that we make all of our products in Long Island, New York, U.S.A.
We supply every type of scale, from floor scales to parts counting scales. Plus, we offer scales in a variety of materials, including: aluminum, steel and stainless steel. For customers that are looking for intrinsically safe scales and scales with more features than what is found on a standard scale, we have what you’re looking for as well. Using the latest technology, including some of our own invention, we provide top-of-the line industrial scales that are made close to home. Read on to find out why you should buy American, today. Why Are Scales Made Overseas? Many things are made overseas and then sold in America. Why? Because it is generally cheaper to manufacture products overseas and the products can still be sold at the regular price—meaning manufacturers can make more of a profit. There are many industrial scales made overseas. But it wasn’t always this way. In the 1970’s and 80’s, electronic scales widely replaced the commonly used mechanical scale. It was a time when American manufacturers mainly produced industrial scales, with a small number of European and Japanese suppliers in existence. Fast-forward to 2016 and you will see that there are a number of Asian load cell companies that have begun to supply American manufacturers with load cells. Some of them can even supply entire industrial scales to buyers here in America. So Why Should You Buy From American Manufacturers? Arlyn Scales is a leader in the weighing industry. And we are proud to say that we make all of our scales in Long Island, New York, from start to finish. The design, engineering and manufacturing of our scales is all done in one place. This means that our design, manufacturing and quality control teams are also in one place. Which makes it easier for us to handle any problems that arise. Moreover, if our customers need assistance with their scale, we can easily address the problem. If you’re looking to purchase an industrial scale, first you must figure out the maximum capacity and accuracy necessary for the scale you need. There is a scale out there to meet every need and desire; however, it is important that you find the right manufacturer, especially if you need a custom-made scale or one with additional features. If you need a scale that is anything other than a standard scale and are purchasing from a manufacturer overseas, or one that gets their parts from a company overseas, then expect to wait a long time for your scale—if they can make it at all. Fortunately, there is a manufacturer in America that will deliver high-quality scales to your door efficiently. And we make everything that goes into our scales in-house. Load Cells: We’ve seen load cells quit working because they couldn’t handle a heavy load. Our load cells are covered in a fine silicone coating and are corrosive resistant and durable. We manufacture our own stainless steel load cells and they are used in all of our scales. They provide protection against overload and from shock load. Corrosive-Resistant Scales: We’ve seen scale platforms disintegrate because they weren’t made to survive contact with corrosive materials. We make intrinsically safe scales that are designed to resist corrosion. Sensitivity: We’ve seen scales that are not as sensitive or responsive as needed. We created Surface Acoustic Wave (SAW) technology. It produces accuracies of one-hundredth of one percent and is priced comparable to less-costly strain gauge scales. Arlyn Scales has combined accuracy, durability and high-quality materials to create the perfect scale for your company’s needs. If you purchase from us, we guarantee that your scale will be delivered to you already calibrated. Plus, we include a simple calibration menu that allows users to re-calibrate the scale when necessary. We have eliminated the middlemen and distributors that are common in the buying and selling of industrial scales. When you buy from Arlyn Scales, you save time and money—and you receive a higher quality product! When people purchase industrial scales through a network of distributors and middlemen, they must rely on that network when any problems arise. This leaves many customers asking: “who do I turn to?” And it also creates unnecessary upsurges in price. If you buy from Arlyn Scales, you will always know who to turn to. Because we make everything from beginning to end in one place, we know how our products work and how they can be fixed. And, we can keep our prices low while still delivering a high-quality product because we don’t deal with any middlemen. Whatever scale you’re looking for, we have it. Arlyn Scales supplies platform scales, part counting scales, cylinder scales, floor scales, crane scales and more. We have incorporated a number of standard practices into our scale design and use state of the art technology, including our own SAW technology. We offer additional features that are available to add onto any of our scales. Plus, we offer connectivity and automation options so users can connect their scale to a computer for data collection and more. While other companies are outsourcing their manufacturing facilities to foreign countries, Arlyn Scales keeps all of their business in the United States of America. We are looking to grow our footprint here in the U.S. while creating jobs for U.S. citizens and developing the best scales for our customers. If you would like to take a look at all of the scales we supply, take a look at our website. Questions? Contact us via telephone by calling 800-645-4301 or fill out our online contact form.